Every self respecting Southerner has a deviled egg plate, usually two. We have one for “fancy” company and a travel one which has a handy little lid (in the interest of disclosure, I have three fancy ones and one travel one). Deviled eggs are standard fare at all family reunions, church gatherings, and holidays but they are an absolute requirement at Easter! When I was a little girl we always had family reunions on my Papa Reed’s farm each summer. The two things I looked forward to the most were Mama’s Mandarin Orange cake (because she used to torture us by making it three days ahead of time and letting it sit in the refrigerator –at perfect eye level for my siblings and I!) and all of the platters of deviled eggs. Everyone brought covered dishes from home and when time came for the meal Papa Reed would hook his tractor up to a large flatbed trailer and pull it right up into the front yard. The ladies would then lay out bed sheets and table cloths to cover the trailer bed and everyone would take the covers off their dishes and lay them out, forming a huge country buffet. Deviled eggs were plentiful and I would go down the line, examining each platter and making my choice. Usually, I got one from each dish but my very favorite were the ones with “red stuff” (paprika) sprinkled on the top! After everyone had eaten second and sometimes third helpings, the dishes were cleared, sheets removed, and we’d all climb up onto the trailer for a hayride through the country. My favorite part of the hayride was when we stopped over at a creek and got to throw rocks in. It was pretty hot by then and you’d try to find the biggest rock you could so you’d get a good splash of cool creek water out of it! Later, we’d put out chairs in the front lawn and the musicians in the family would set up on the porch for a little concert of sorts. We usually had a guitar, fiddle, and banjo. Well, I may not have a family reunion today but look what I do have! Real, honest to goodness, fresh from a local farm, EGGS! I have always wanted a chicken coop. Its been a dream of mine since I was a little girl and my step grandmother would let me go gather the eggs when I came for a visit. Each egg was like finding a grand prize. Returning with an entire basket full thrilled me to no end. I’ve always wanted to raise chickens, gathering and cooking for my family with fresh eggs I had harvested from my own hens. I’ve read books on how to build the coop, what to feed the chickens, and how to care for them but alas, I still live in the city and these silly city folks don’t think chickens are the best choice for neighbors. So I am just going to live vicariously through Kamilla, over at Fledermaus Farm. Now THIS is fresh! This photo was taken on April 7th! On the top is a farm fresh egg and the bottom is a store bought one. Notice the richness in the color of the yolk on the top. Let me tell you, there is a definite taste difference as well! 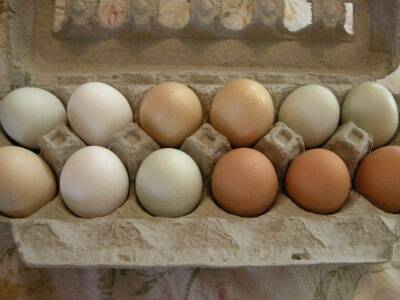 It was such a treat for me to find a local source for fresh eggs. I’ll be bringing you more in future posts about the farm these eggs came from. 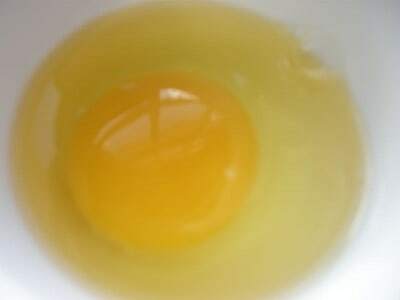 If any of you are wondering how to find a local source for eggs or any other farm raised food, www.localharvest.org is a great place to start. This is where I located the farm these eggs came from and it turns out the owner and I went to high school together! It really is a small world and its fun to find out just how small by looking to your own local resources for food. With spring upon us now and summer coming up, I’ve been looking at different ways to be more self sufficient in terms of providing for my family. I have a small garden planned (it may end up being a series of container gardens) and am working on several true “from scratch” tutorials to bring you. My eventual goal is to be able to provide as much of my family’s food as possible from my own garden or local sources. Keep in mind that I am still cheap though, so this will be done within reason. While I would love to start using meat from local sources, I can’t bring myself to pay double the price- even if it is organic. Although this is better for the environment, healthier, ensures better quality food, and is better for our local economy, my primary goal is to simply increase the self sufficiency of my family. I’ll be sharing more of how I am doing in my little quest throughout the summer. For now, I’m reading, studying, and planning. ~sighs~ But I still can’t have my chicken coop. 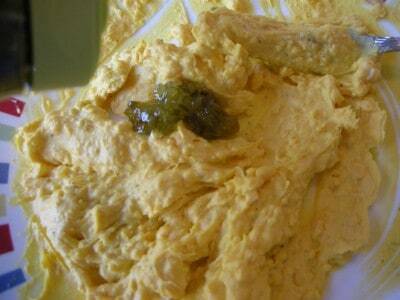 How about we make us some deviled eggs from Kamilla’s chicken coop instead? 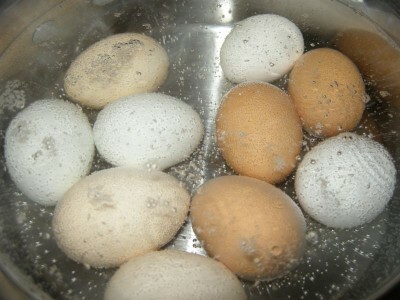 Place fresh eggs in pot and add enough water to cover them by one inch. Add a pinch of salt per my mother’s directions. We don’t question our mothers. We just do it. Bring to a full boil over medium to medium high heat. Once it comes to a boil, remove pot from hot eye and cover. Allow to sit for fifteen minutes. 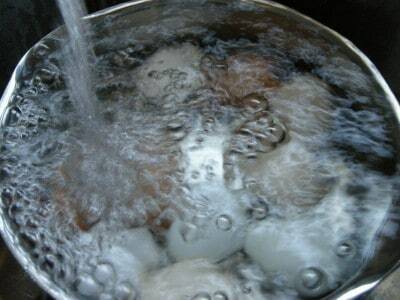 Place pot in sink and run cold water into it until eggs are cooled. 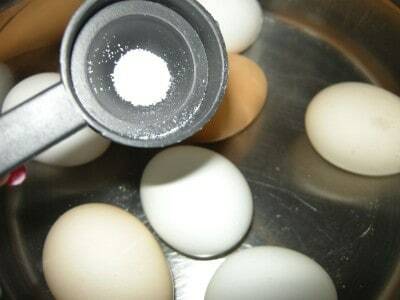 Once cooled, remove each egg and tap it gently on all sides on a hard surface to get a nice cracking on the shell. To peel an egg and have it still be pretty requires a delicate hand, which I do not have. I forced it for y’all though (Because I just love ya so much). I’m one of these people who has fifty different things I want to do at once and I just barrel right through them! You’ll also need: salt, pepper, and paprika but these are actually optional. 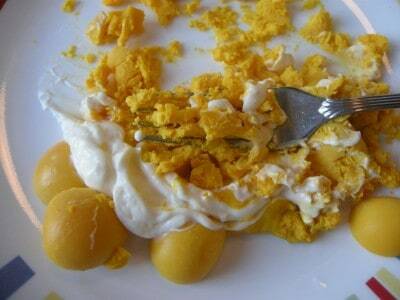 Spoon out all of the yolks. WOW! Look how bright and rich these are! For six eggs, I am using 3 T of Mayo and 1 T of mustard. This is something you’ll need to customize to her personal taste so just start out with lesser quantities, mix it all in, and then add more if you prefer! With a fork, mush* it all together. *Once again, I am bringing you a highly technical term which I yield effortlessly thanks to my $40,000 Home Economics degree. As a Southern Plate reader, you are now qualified to use this term as well and FREE OF CHARGE, too! The perks never end, folks! I add about 1/4 tsp pepper. You can omit this or use white pepper if you prefer. For me, white pepper is about like a penthouse suite. Then we add about a tablespoon of sweet pickle relish. Most people would want to add two tablespoons here but I keep it light on the pickles at my house. Mix all of that up. You can make it even creamier with more mixing if you like but I like the tiny little lumps in mine. There are several ways to fill your eggs and no one way is wrong! You can simply spoon the filling in, pipe it in with a pastry bag and tip with a large opening, or do it the way I am today. 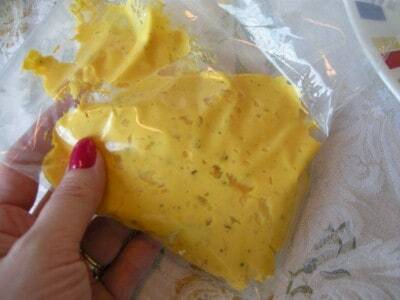 I spoon my filling into a sandwich bag and cut the corner off, then squeeze it in each egg half. Or you can have some fun and do this…. When finished, place on a pretty plate and sprinkle with “red stuff” if you like! 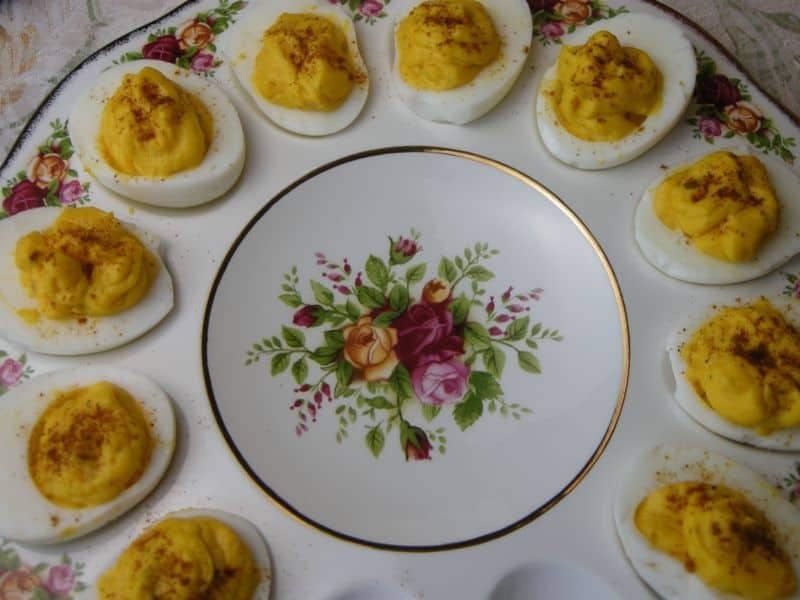 Deviled eggs, on my fancy plate! 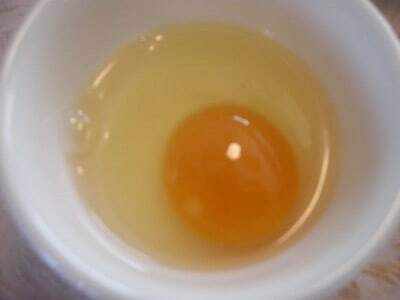 Place eggs in pot and add enough water to cover by one inch. Add a pinch of salt. Place on medium to medium high heat and bring to a boil. Remove from heat and cover, let sit fifteen minutes. 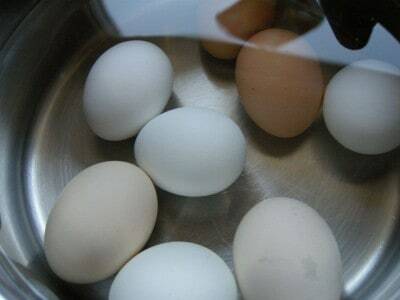 Place pot under cold running water to cool eggs. Carefully peel. 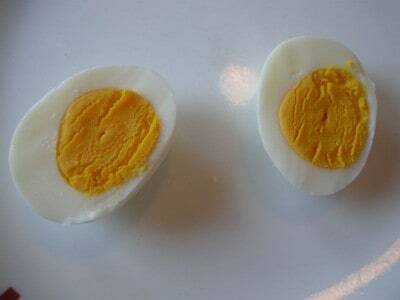 Slice each egg in half and spoon out yolk onto separate plate. 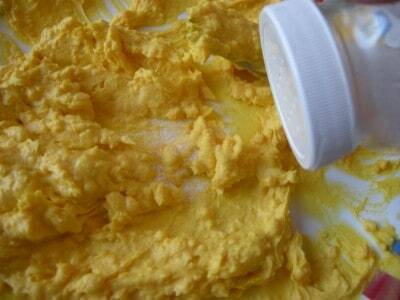 Add all other ingredients and mash with fork until creamy and well blended. Spoon contents into plastic bag and seal. Cut off corner and squeeze back into egg halves. Sprinkle with paprika, if desired. Some people like to garnish with a slice of olive or sprig of fresh herbs. Subscribe to Southern Plate to have my newly posted recipes sent to you in printer friendly format twice a month! 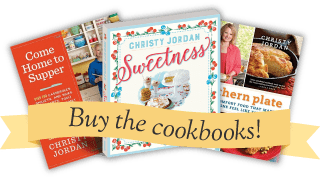 You’ll also receive an ebook of my reader’s favorite slow cooker recipes when you confirm your subscription! try thinking about what you have that everyone else is missing. I LOVE LOVE LOVE deviled eggs. We live on a farm in Virginia and having fresh eggs is the best however the older they are the easier they are to peel. Yep true! I usually do mine the day before and make up the filling and place it in a zip loc bag. I then use a seperate zip loc for the whites and add some water to it to keep them moist. This makes it a lot easier to get them ready in a hurry for a family get together. 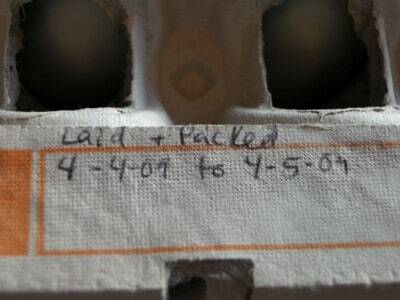 It’s so good to know that fresh eggs are normal if they’re hard to peel – I thought it was just me! We’ve only had chickens a month and we love hard boiled eggs for breakfast because you can grab and go. But it takes forever, absolutely forever to peel and our eggs are mangled mess when I get finished. I’ll start sitting some of the eggs aside to “age” for boiling. Deviled Eggs… We are thinking alike today. 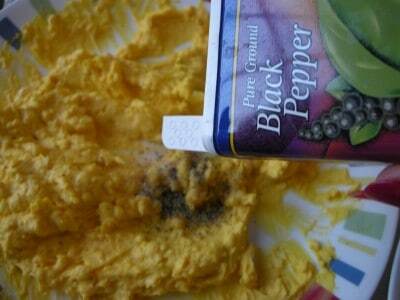 I posted on my blog today how to make deviled eggs, since we have extra for Easter. Also the fresh eggs are wonderful. We have our own chickens, so it is nice to have fresh eggs. Thanks for a great post. I have put southernplate as a link on my blog. I just wanted to share you with everyone. Hope you have a Great Easter…. Well, being the good little Texan that I am, I gave two deviled egg plates to a family member as a wedding gift. Like you said, one casual/travel, and one that matched the china they wanted. They, being from Minnesota, had no idea what those things could be for. Haha. Next time, I’ll include my recipe. HAHA!! That is tooo funny! Christy, that’s my deviled egg plate you are using!! 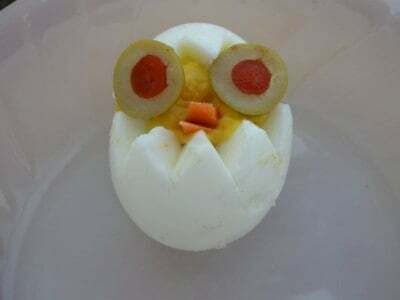 I’m going to borrow your idea for the decorated eggs with olive eyes so cute!! Isn’t it beautiful? I asked for that for Mother’s Day several years ago and just love getting to use it! Its fun to play with your food!! Let me know how your family likes the little olive eyed fellas! I’m a California grown women, but am now living in Louisiana. I am sitting here thinking about your deviled eggs and my mouth is absolutely GUSHING for wanting one!!! I’m all about the onion and bacon?!? Oh my gosh, what lucky folks you have in your house! Oh yes, Deviled Eggs. ‘Round these parts, though, we put half a green olive on top of each one. Otherwise, it’s exactly the same. I’ve always wanted a chicken coop too. We were buying our eggs fresh from a church friend, but when the price went up to $3.50 a dozen, versus $1 at the store, I had to choose the store eggs. Bummer. And this is they year we may finally start a small (mostly container) veggie garden. I’m kinda scared, though. I have a black thumb. I will persevere, though! Can’t wait to see how you fare! Hey! Container gardening is easy, honest! I’ve always grown tomatoes in containers. I am debating between a series of container gardens this year or a raised bed garden. I think the final decision is going to lie in whether or not I can acquire anyone to help me build my raised bed garden! I’m going to post as it goes along though and I hope you’ll keep us posted also!! I know what you mean about the price of the eggs. I’m going to get eggs for the kids to dye today and I’m just going to get cheapie store ones for that! I too like the eggs with the “red stuff” on them. Okay now THAT is a great hint! 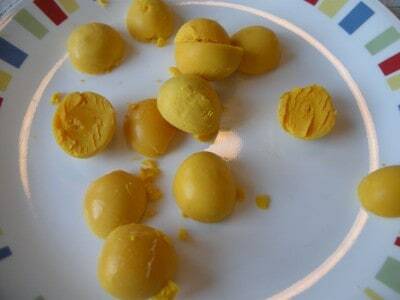 I can’t wait to peel eggs again now to try it! 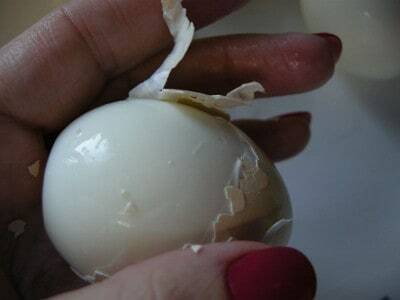 A sure-fire way to peel an egg shell is, once cooled, crack the shell, remove small portion of shell, then slip a spoon between the membrane beneath the shell and the egg. It loosens the membrane and shell, protects the egg, and voila! you have a clean, perfect boiled egg. Thse eggs look delicious and I can’t wait to fix some for myself. just a tip, but If you add some softened butter to the mix they will even taste more delicious! Keep the delicious recipes/tips coming. I truly enjoy your site. Oh MY I bet that would make them even better! Gonna have to try that! OMG I love deviled eggs. I want some now. That’s the bad thing about having Southern Plate. I go back to these comments after everything is done ate and gone! This works well if using farm fresh eggs which are usually harder to peel because they are not aged. Using a vegetable steamer pot fill the bottom with water. Turn the water on high until it starts to boil. 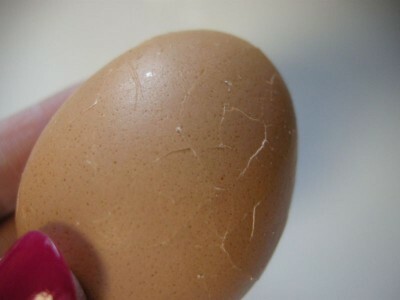 Use a small safety pin and gently poked a hole in the larger end of the egg (No problem with egg leakage). Once the water starts to boil place the eggs in the top steamer part of the pot and cover it for 15 minutes..no more, no less. As soon as it finished cooking, place them in a bowl of cold water with ice cubes for maybe 5 minutes before you attempt the “peel”. Good luck! WOW thank you for the wonderfully detailed instructions! Dropped on their heads as children, the lot of ’em! My family loves deviled eggs! The only thing I do differntly is that no one eats pickle relish so instead I put honey mustard in it (not too much, just a dab!) They gobble them up. I agree about farm fresh eggs. Last year we got 5 chickens so that we could have fresh eggs. I’ll be darned if the neighbor’s dogs didn’t get them about the time they should have started layin’! We’ve since moved to the city and are trying to figure out how to have a couple of them in the yard. If you figure it out, Jan, tell me! I want chickens so badly! I know I could hide them and get away with it but of course that would be something I did if it was absolutely necessary to have chickens as a means of survival. Thankfully that isn’t the case at this point and I just want them to satisfy my silly dreams. I’m so sorry about yours! And so pretty with your olive addition! Kinda weird.. I was raking my neighbor lady’s yard and found an egg today. Another neighbor had some chickens for awhile but that was two years ago. Wasn’t about to crack that sucker open! I usually dunk mine in ice water and start to peel them after a couple minutes under running water. The peels come right off.. until of course.. they don’t. Beeyuhlll, deeze hyar eggs ain’t da debil, dey da good stuff! Okay the raking up an egg thing is weird. You have the most interesting life and its always filled with working and helping others!! I sure do wish you were close enough to help me get a raised bed garden put together because I’d sure feed you and your daddy good!! Christy when I get the “extra” money I am going to send you some white pepper. Not only have I seen it I have used it and guess what- it was generic. The wal-mart we used to shop at carries it in with the Mexican food or at least they used to. My sister in law read this post (Wow, a member of my family read Southern Plate, that is actually quite an occasion!) and she said that my BROTHER special orders it for his restaurant! I HAD NO IDEA!! She’s going to give me some!! See, your nephew just wanted you to spend more money on his cute little self! You are so sweet to think of them, THANK YOU!! I love deviled eggs! I haven’t made them in awhile so this is the push I needed! Thanks! I’m growing a small garden too. Haven’t done that in a long, long time so hope it grows. LOL I will look for your future posts. Looks like a lot of us are in this together! I’m working up a good easy garden post for y’all by consulting with my brother in law, the last living gardener that I have as a relative. He can make anything grow so I’m hoping he will have some good tips for us! P.S. If y’all could, order some more hours in the day. I could get so many neat things done! I LOVE deviled eggs! My chicks arrived last Tuesday. My husband started working on the coop today. We’re taking one section of our tool building and converting it for the chickens. It use to house 70 dwarf rabbits, but now it will house chickens. My pullets will arrive after the coop and outside yard are finished. In Ohio, you can have chickens in the city. Not many I guess, but enough to meets your needs. According to the “Homestead” group at yahoo, alot of states are allowing this. You really have your act together with the chickens!!! Please let us know how they are coming along! I’m going to live vicariously through you! My family always uses Miricle Whip instead of mayo. We add just a dab of mustard and of course the relish. At our family gathering I am always requested to bring theses eggs and tater salad. In the small county I live in now…we still have cookouts and use a big hay wagon complete with the bed sheets to put all the food on. We also use a 50 gallon galvanized stock tank filled with ice and soft drinks that last alllll day long. A smaller wagon is used to set all the homemade desserts on as there is usually no room for them on the food wagon. Warm weather is almost here again and I can’t wait to have the cookouts again till late fall. You’re doing a good thing! Oh how I wish I liked mayonaise. I love hard boiled eggs….with salt and pepper on ’em. YUM! I make deviled eggs often though…as everyone here loves ’em! 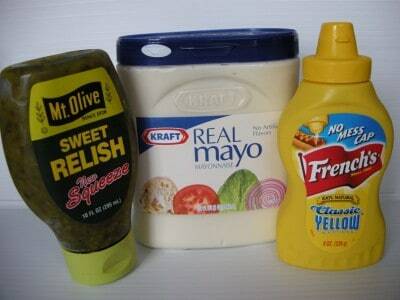 You have lots of company in avoiding mayonnaise. My daughter just does not like it, and that messes with recipes for potato salad, tuna salad, chicken salad — you name it. In working around this aversion, I’ve found that light sour cream and dijon mustard are a very popular substitute. 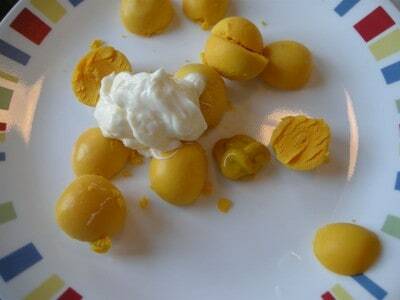 Many of her friends and some of my guests mention that they love deviled eggs, but don’t eat mayo. When they hear these don’t have any, they dive right in and ask for a recipe. I can’t give you amounts, because it depends on how many eggs you have, but the filling is sour cream that is seasoned with dijon, salt, and pepper. And always topped with paprika! Hey, I’m actually with y’all on the mayonnaise avoidance. I only use it to bake/cook/make salads with when I have to. I generally have an aversion to it. I even have this great casserole that has a cup of mayonnaise in it and even though you can’t taste it (it is a huge casserole), I can’t hardly bring myself to eat it because I know how much is in there! The sour cream idea sounds sublime. I am going to have to try that! I love sour cream! My husband’s family usually has a reunion for Memorial day at one uncle’s and barn party in November at another uncle’s. They always bbq (pork of course) and everyone else brings the go withs. The food is always served on a huge flatbed trailer. Nothing else could hold all the food! And sometimes there is so much food, they put the dessert on other tables. Must be a southern thing – north Alabama is not that far from west Tennessee. You got that right! It must be a Southern thing, and a great one at that! yummy Deviled eggs, except yucky relish! No one likes a gathering that lacks deviled eggs. I read that the salt raises the temp of the water before it boils and keeps it higher. I’ve read that too, can’t remember where though! I’m not a relish person either, but in deviled eggs I leave it be because they’re so good! As a Hoosier (Indiana), I really enjoy your blog! I make my deviled eggs with Miracle Whip and mustard, and instead of relish, I’ve always added pickle juice from Aunt Jane’s Candied Midgets (sweet pickles). It’s thicker and sweeter than regular sweet pickle juice. Except, I don’t think they make it anymore. Any suggestion on how to make regular sweet pickle juice more concentrated? Hey Gayle!! Thank you for reading! I need to try these with Miracle whip because a few people have mentioned that. I can see how they’d have a definitely different tang! I’m gonna have to ask Mama about the pickle juice. Sounds like it has a bit of syrup in it from candying the pickles..I have never heard of candied pickles by the way! I need to get out more! Christy, deviled eggs are the best! I make mine the same way except I garnish mine with an olive. I always have to make them for a church potluck because there is never enough of them. I like to make them at home too. Your comment just made me realize for the first time why so many women brought platters of deviled eggs to our family reunions! 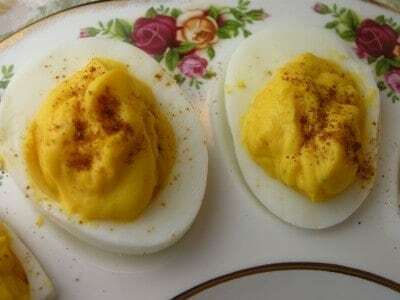 Love deviled eggs but not on Easter Sunday, my Polish husband has his own family tradition, Keilbasa and colored eggs with horseradish, I just have some cinnammon bread or a cup cake, we all have our traditions. Maybe some will share they are so interesting. Christy love all you recipes, keep them coming. Happy Blessed Easter to all. Hey Becky! I love kielbasa but I don’t think I’ve ever had horseradish before. I’ve heard its really strong but still have to try it eventually. Cinnamon bread…now you’re talking my language! Thank you so much for sticking with me through my ramblings! Deviled eggs are a great teat especially at Easter and sometimmes just for a little extra zing, I put in a small amount of horseradish. Well……… seeing as how I am from Oklahoma,I do things a little oddly. I put the yellow from the eggs in a zip top bag along with mayo,mustard and chopped sweet pickles. Mash ’em and smash ’em in the bag. Nothing to wash up and I just clip a corner off and fill ’em up. Nothing fancy, just good and easy. Good idea! I was thinking the same thing. That is much easier. I love the photo class on making this recipe. I luvvv deviled eggs or dressed eggs as we call them. I was even thinking about making them for Easter dinner. Thanks for sharing. 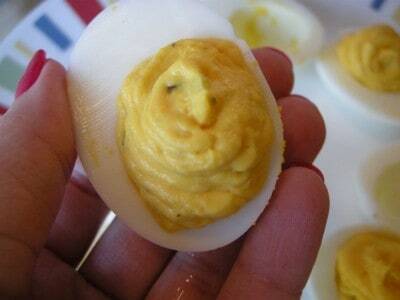 Oh, I LOVE Deviled Eggs! But, alas, my hubby abhors mayo, too! (Thanks, Mary, for a substitute idea — I’ll try that!) I know it’s all psychological since once he accidentally started in on MY sandwich with mayo. I didn’t tell him and he finished the whole thing. I TOLD HIM TWO WEEKS LATER and THEN he got sick!!! Bless him. Salt in the water — my momma said it was so if you had a cracked egg, the egg wouldn’t ribbon in the water but would congeal. Having boiled many a cracked egg, this is true. BUT I’ve never tried it without water to really prove the theory!